Cost: There is no cost for this event, but registration is required since space is limited. This 90 minute session is for anyone in an organization who is interested in knowing more about measuring the success of HR and learning development, particularly at the Return On Investment level. This presentation will introduce the concept of ROI, the fastest growing metric for evaluating HR and learning and development. Participants will be exposed to the ROI Methodology, which includes developing objectives, collecting data, isolating the effects of the program, converting data to monetary values, tabulating appropriate program costs, and calculating the ROI. Patti Phillips, Ph.D., is president and CEO of the ROI Institute, Inc., the leading source of ROI competency building, implementation support, networking, and research. A renowned expert in measurement and evaluation, she helps organizations implement the ROI Methodology in 60 countries around the world. Phillips has authored dozens of books on accountability. 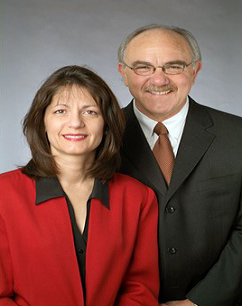 Jack Phillips, Ph.D., is chairman of ROI Institute, Inc. He is a world-renowned expert on accountability, measurement, and evaluation. Phillips provides consulting services for Fortune 500 companies and major global organizations. The author or editor of more than seventy-five books, he conducts workshops and presents at conferences throughout the world.